ITC Invest Company has become actively developing trader in bulk materials and coals through off-takes, purchases and marketing arrangements with producers of Coal worldwide. Under the conditions prevailing in the market today, to buy coal of the required quality and at a reasonable price, without having long-term contracts with mining companies — providers, it is quite difficult. One of the difficulties that arise in the way of organization seeking to buy coal — the choice of a reliable company able to supply coal to the required quality, the volume of the specified prices and at certain periods. Established long time partnership with the Coal manufacturers of different countries such as: Africa, Indonesia, Australia, India, CIS (Kazakhstan, Russia) allows us to offer the full range of Coals to our partners with the most comfortable conditions for the shipment. Experience and unchanging principles, which are based on strict fulfillment of our obligations, is a competitive advantage of ITC Invest Company and allow us to solve our basic goals — to satisfy all the needs of our customers, to provide nonstop and timeliness of deliveries. Team of the ITC Invest Company established a risk management capability- further ensures timely and creative solutions to our customers’ needs. As our customers’ requirements are constantly evolving, our support team is always there to provide the best service, storage and on time delivery at the highest safety standards and at a competitive price. We are always on the lookout for better ways to connect producers with end-users. We streamline and simplify supply chains. Coal is one of the world’s most important sources of energy, fuelling almost 40% of electricity worldwide. Coal has played this important role for centuries – not only providing electricity, but also an essential fuel for steel and cement production, Chemical industry and other industrial activities. On the whole, according to approximate estimates, we can get more than 400 products, which are used in normal life, using different kinds of coal. In addition to all, the coal main function is to meet the basic living needs- the possibility of giving people warmth and light. Our relationship with Coal miners and customers are based on the principles of fair and open collaboration. We value our name, respect our partners and believe that only mutual cooperation and understanding can lead to the desired results. We strive to ensure that all participants in the value chain have benefited from working with our company. Therefore, we conduct ongoing work to establish reasonable cost of Coal, decrease in value storage, transportation costs in order to strengthen the relationships with our partners. The company provides flexible pricing and working with different types of payment for the delivered products, in addition is constantly expanding range of supplied coal, which allows us to maximize the acceptability of the price of coal in conjunction with the terms of delivery, as well as meet all the needs of our customers. We have worked tirelessly to expand the range and consolidate the establishment of relations with our partners as for various industries and domestic sector. Approximately 25% of the coal is supplied to customers is used for technological purposes in the enterprises where they are processed or used as a raw material. 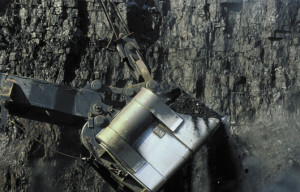 The bulk share of coal is used to produce coke, energy purposes. More than half of coal allocated for energy purposes, used in thermal power plants, a large part — for household needs, less — in the industrial and district heating plants. The rest of the steam coal is directed for the needs of agriculture, building materials, etc. Today ITC Invest Company is ready to offer the wide calorific grades of Thermal coal GCV from 3200 up to 6500 Kcal. We will provide fossil coals with a wide range of genetic, technological properties and qualities that allow you to use them not only as fuel but also as technological raw materials. Sale of different grades of coal leads to expansion of the market, which contributes to the acquisition of new customers, which invariably become our regular partners. During our work we found mutual understanding with a number of coal consumers, proven reliable supplier, always fulfill their obligations, we earned a reputation as a serious business partner. The high professionalism of staff, efficient shipments, supporting additional legal information and many years of experience suggest that our partnership will be constructive and mutually beneficial long term cooperation. The experts of “ITC Invest Company” are pleased to meet our customers’ needs, giving the best service, regarding the selection of appropriate coal, transportation type, providing with supporting additional and legal information at competitive prices. Our experience in international market allows us to offer flexible freight transport options to meet your individual needs. We can implement the shipment by air, road, rail and sea – according your specific freight transport requirements. Our goals are to maximize efficiency to provide an integrated, end-to-end solution, reduce logistics costs, improve operational efficiencies and minimize time delivery. Today, most of the coal supplies, implemented by ITC Invest company, are based on the terms CFR / CIF / DAP / FCA. Through long-term partnerships with the largest and most modern ports and coal terminals of Africa, Indonesia, Australia, India, Europe and Latin America, ITC Invest Company is able to supply coal to customers and partners in Europe, Asia, Africa, Latin America by sea and railway. 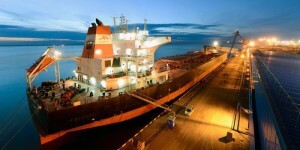 In addition, in connection with the development of new markets and the increase in the volume of coal, supplied by our company we establish cooperation with ports and transport infrastructure, convenient for the organization of supply. This approach to supply gives us the opportunity to make better use of storage space in the ports and fully control the supply of coal to the buyer. Our clients are major energy, steel and industry companies in Europe, Africa, South and Central America, who appreciate the quality of coal supplied by ITC Invest Company. and providing the minimal time delivery of Coal in address of our customers and partners. «ITC Invest company» in order to meet your individual requirements, can offer you the best price for coal, as well as the minimum cost of logistics service. If you are facing a dilemma which type of coal is suitable for your purposes, our experts will help you to find the right solution. The wide range and competitive prices of coal allow you to choose the right option for your environment. We work with individuals and business partners as well as industrial companies. By ordering coal in our company, you can be assured of high quality and timely delivery of the required amount of coal. Our experts constantly monitoring the parameters of coal sent to our partners and customers. Each shipment is analyzed by independent organizations to assess the required quality. The joint work of experts and laboratories guarantees high quality of delivered coal. The company cooperates with independent surveyors SGS, INCOLAB, ALFRED.H KNIGHT. We would be very grateful, if you send us your request, so that we can select the most appropriate type of Coal and transportation type to meet your special needs.